Join me to celebrate my Birthday in Pattaya “The Ibiza of the East” with unique sounds of Ibiza with legendary Matt Caseli Resident DJ for 15 years at “Pacha” Ibiza. 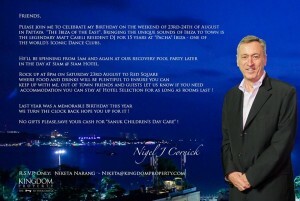 Rock up at 8pm to Red Square Walking Street bar on 23rd of August. On 24th pool party at Siam@Siam Hotel from 2pm onwards. 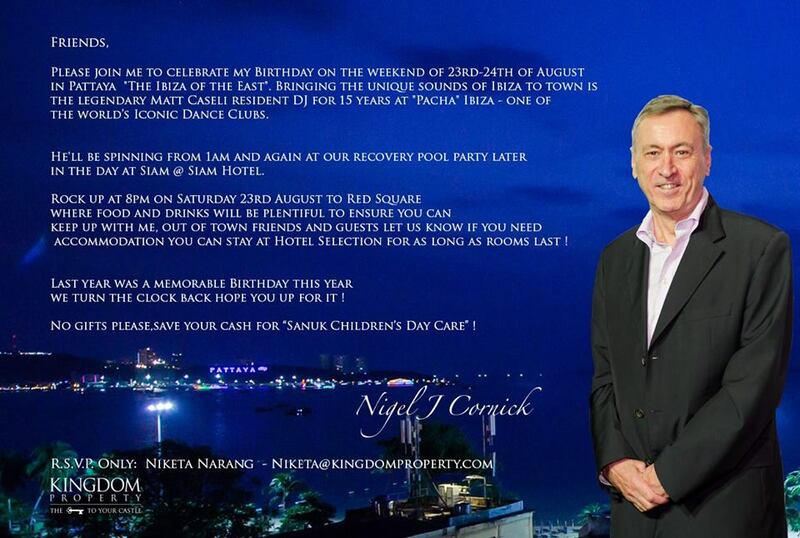 PS: Dont forget to take a special wrist band from Red Square for unique experience at The Pier Pattaya and to be a special guest at the Pool Party.